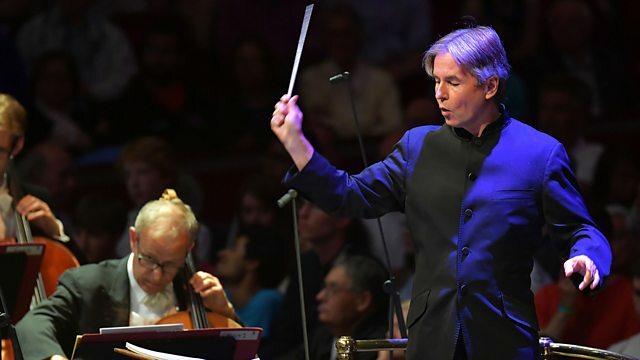 Live at the Royal Albert Hall, Esa-Pekka Salonen conducts the Philharmonia Orchestra. Schoenberg: A Survivor from Warsaw. Dutilleux: The Shadows of Time. Mahler: Symphony No 1. Performer: Simon Russell Beale. Orchestra: Philharmonia Orchestra. Conductor: Esa‐Pekka Salonen. Orchestra: Philharmonia Orchestra. Ensemble: Ensemble Modern. Conductor: HK Gruber.